I had a third round of blood tests done the other day, which provides for some interesting comparisons over the course of the past year. I went vegan back in March of 2015, so now I have one blood test prior to going vegan, taken a few years ago, and two while eating a vegan diet. My fasting glucose has steadily declined all the way down to an 82! 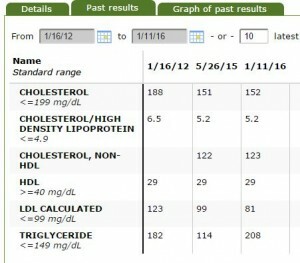 My total cholesterol dropped significantly after going vegan and has held steady since. Look at those LDL numbers drop like a rock. 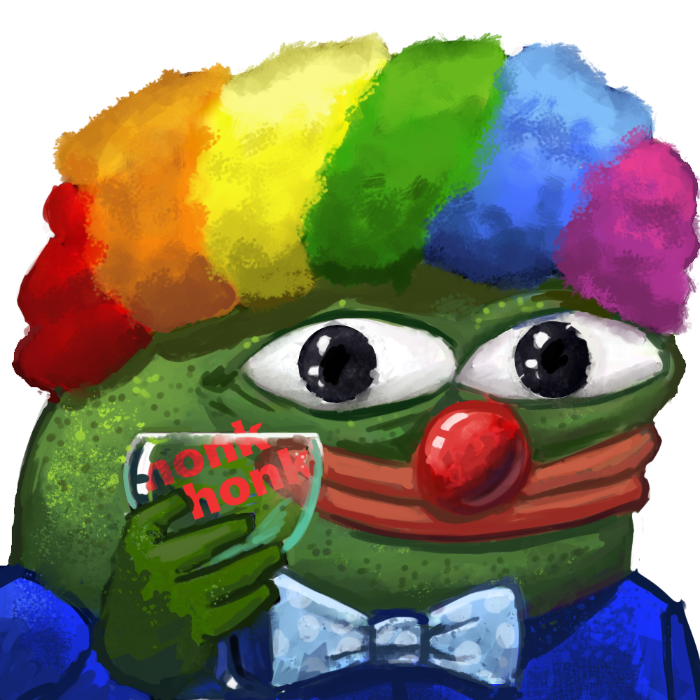 It’s interesting that my HDL has remained completely flat this whole time, but I suppose it doesn’t matter since I have a total cholesterol of 152, which means statistically, it’s next to impossible for me to contract heart disease no matter what my HDL ratio might be. Current research suggests that low HDL plays no role in the cause of disease. High-density lipoprotein levels decreased and triglycerides increased in experimental group [vegan] patients overall, although the ratio of LDL to HDL was improved. Recent reports assert that this phenomenon, which is often seen in very low-fat diets, may be harmful. However, patients in the Lifestyle Heart Trial showed even more regression of coronary atherosclerosis after 5 years than after 1 year as well as significantly decreased cardiac events. Low HDL cholesterol levels due to reduced fat intake are the result of a decreased transport rate rather than the increased catabolism that is responsible for most cases of low HDL cholesterol levels in persons consuming a typical Western diet. Populations consuming low-fat, plant-based diets have low HDL cholesterol levels and low rates of coronary heart disease.Our data provide evidence using quantitative coronary arteriography in this population that diet-induced lowering of HDL cholesterol does not confer the same risk of atherosclerosis as do low HDL cholesterol levels in Americans consuming a high-fat diet. I’m pretty sure the spike in triglycerides is due to the huge amount of carbs and alcohol I consumed over the weekend prior to the blood test. You can see the previous test came back much lower. While I fasted for 12 hours prior, triglyceride levels take longer to decrease. Alcohol has a major impact on triglyceride levels, which is yet another reason to limit intake. Along with lipid and glucose tests, I also had a complete blood panel done, with everything else coming back well within normal ranges. Looking at these results, when I see people claiming nonsense like this, I have to question their sanity. I noticed Chris Kresser used that Egg Board funded egg study on cholesterol to back up his absurd claim that dietary cholesterol has no impact on blood cholesterol levels. 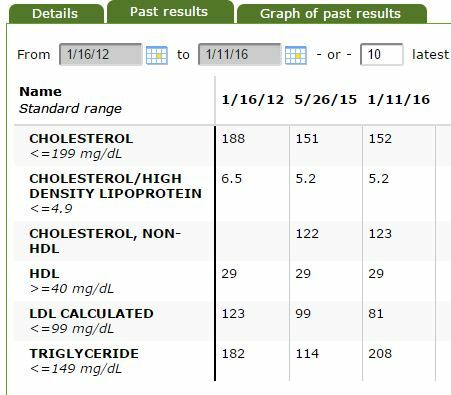 As you can see by my own results, eliminating dietary cholesterol caused my total cholesterol and LDL cholesterol levels to drop like a rock. Further, I still consume a modest amount of saturated fat from things like french fries, avocados and the occasional processed snack food with coconut oil. Studies that claim to show that dietary cholesterol has no impact on blood cholesterol levels are all completely rigged. For example, that egg study never used a zero dietary cholesterol baseline for comparison. They fed people either a couple of eggs, or a whole bunch of eggs, and then announced that there was no difference between the two. Well of course there was no difference because the body reaches a saturation point where additional cholesterol is not absorbed into the bloodstream, but that doesn’t mean dietary cholesterol has no impact on blood cholesterol levels. Further, epidemiological studies can’t tease out dietary impact on cholesterol levels because of the wide variation between baseline cholesterol levels in humans, so it is expected that they will produce a null result when looking for a correlation between dietary cholesterol and blood cholesterol levels. This doesn’t mean a cause and effect does not exist, it just means that epidemiological studies don’t have the statistical power to detect the impact. To see a clear impact, medical ward and dietary change experiments are necessary. As you can see by my own dietary change experiment, it is clear that dietary cholesterol has a massive impact on blood cholesterol levels. In fact, you can do your own dietary change experiment using a home cholesterol testing kit that you can buy on Amazon for a $150 bucks. Eat a vegan diet for a week and watch your cholesterol levels plummet, then add back in a few eggs every day and watch the levels increase. 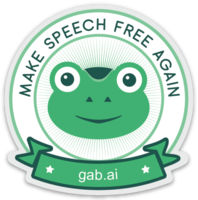 Don’t take my word for it, see the results for yourself first hand. It’s also worth noting that I didn’t contract diabetes eating a diet of virtually pure carbohydrates. I eat massive amounts of carbs, averaging around 3000 calories per day, yet my blood sugar keeps improving. Sugar and carbs play virtually no role in type 2 diabetes at all. It’s the saturated animal fat that does all the damage. My fat intake is still relatively high because I like my vegan burgers, vegan mayo, and nuts. I’m probably doing around 30% fat in my diet, yet my fasting glucose keeps dropping. The only thing I eliminated was cholesterol and saturated animal fat to get a massive improvement in fasting glucose. It’s also worth noting that my mother, who had diabetes, high blood pressure and arthritis, is now completely cured of all of those diseases less than a year after going vegan with me, and she dropped 40 lbs in the process without any calorie counting. She also eats massive amounts of carbs and fat every day, and now she is completely off all medication.